How Can Senior Living Market Research Drive Revenue? The competitive landscape of senior living has changed dramatically during the last two and a half decades with the rapid development of assisted living (AL) and the continued growth and repositioning of continuing care communities. Both the number and types of options that are available in many communities, if not most communities, continues to increase. Furthermore, there has been a blurring of lines between types of senior living. Many AL communities now offer either an independent living (IL) component or the option to receive only limited services, and this is then described as IL. On the flip side, many IL communities may also deliver AL services to those living in their residences. 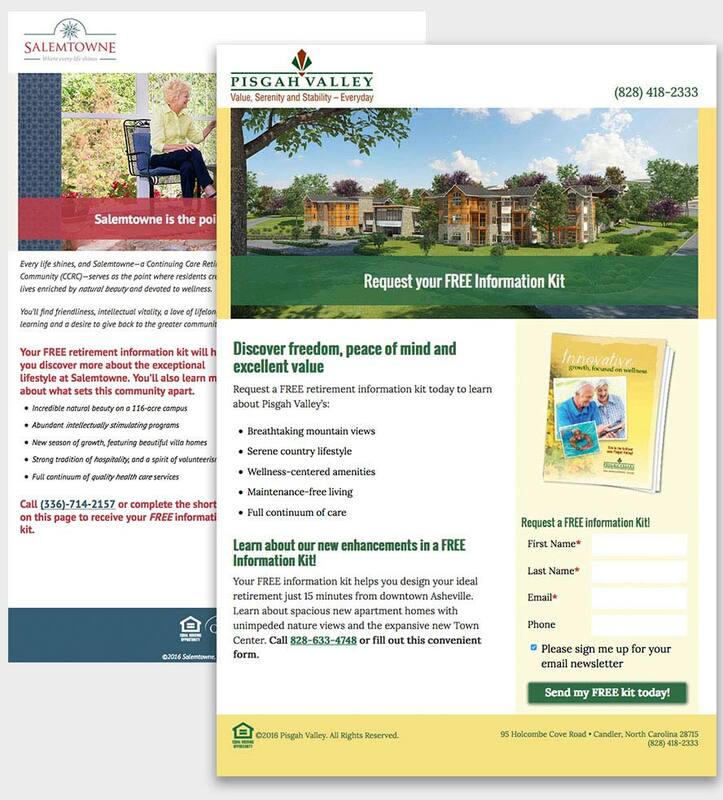 There are a variety of reasons that senior living providers evaluate the competitive environment in which they operate: to estimate the potential levels of unmet need or demand in a market for purposes of developing or expanding their offerings; to assess their community’s overall positioning in their market; or to help evaluate and reset pricing. The objective of the competitive analysis determines the level of detail needed while conducting the senior living market research. Regardless of how the community chooses to use the data they collect, today’s environment requires a significantly closer look at competing options. Once upon a time, it was adequate to simply collect data on the number of units that are serving similar market segments (IL, AL or memory care), their pricing structures, and the amenities that they provide. Site visits were, and in many cases still are, not included often due the time and cost involved. The risk today, with the industry growth that has occurred, the diversification of the senior living product, and the aging of existing stock, is that the competitive market can be overestimated. With that, opportunities in all arenas, including potential demand for expansion, appropriate pricing, and campus repositioning, can be lost or misstated. Love & Company has developed a variety of types of senior living market research and competitive analyses to address specific needs, and to help communities benefit from actionable data both now and into the future. Almost every senior living market research assessment for an expansion or repositioning requires at least a basic study to provide an accurate picture of the competitive environment. This should include detailed data about every supportive living option for older adults in the area, but also an assessment of what those data mean for the markets. Levels of living available and the numbers of IL and AL residences, as well as numbers for MC and skilled nursing spaces. The type of environment should also be assessed and accounted for: if AL is provided in the IL residences, then how many households are actually at this level of “care”? Or, if IL is offered primarily as a reduced service package in an AL environment, are those residents characteristically more akin to the AL or IL population? Information on the amenities, including fitness/wellness, spa areas, movie-theater, number and types of dining venues is important information. Amenities, like other areas, continue to diversify throughout the industry, and the assessment should also note innovative spaces. Occupancy rates at each level of living. Skilled nursing and the room types (private/semi-private/three-bed rooms), and the long-term care/post-acute care mix. A great deal of data may be obtained without conducting a site visit, but this element is invaluable to identifying the quality, level of maintenance, whether the community has been remodeled or updated, quality of the neighborhood, and other key characteristics that can make it more or less competitive. Site visits are sometimes skipped when providers feel they are seeking an early go-no-go indication, but if there is older stock in the market, they often get a misleading picture of the environment, which can easily lead to missed opportunities. 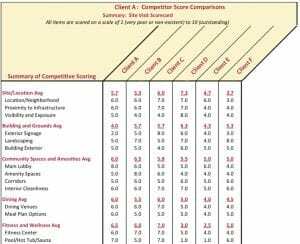 In addition to a basic analysis, Love & Company has developed other senior living market research tools that assist communities with a much greater level of detail and analysis. This competitive analysis provides a clear picture of a community’s relative position in its marketplace and includes in-depth ratings of a community on important attributes, compared to its competition. A positioning analysis entails identifying the primary competition and developing detailed, standardized ratings of each competitor. As with a positioning analysis, this tool assesses the subject community’s pricing against key competitive projects. The projected total lifetime expected cost of living at each community utilizes actuarial statistics, adapted from Continuing Care actuarial reports, to project the length of time that a typical new resident at a Life Plan Community will spend at each level of living. The present value of the refund that residents or their estates will receive at the end of the contract are projected for refundable contracts, to establish a sound basis for comparing different contract types as well as comparing levels of refunds. When comparing the total lifetime cost for each community, two data points are considered: the total cost on an absolute basis (how much do the total costs differ by community for similar size and types of residences), and the total cost on a cost-per-square-foot basis, thereby equalizing differences in square footage. Finally, lifetime cost calculations are adjusted to reflect service package differences (e.g. variations in dining plans or housekeeping services). All comparisons are related to a selected plan at the subject community. Competitive and pricing analyses are best used in conjunction with one another to establish a complete picture of the community’s position within its market. Some might wonder if these types of senior living market research are losing their value due to the difficulty in allocating counts to one level of living or another, but in fact the reverse is true: the increasing complexity makes sound and in-depth analysis more critical than ever. We are still largely operating in an environment where the overall options are limited to IL with some services, AL in purpose-built communities or delivered to the IL residences, and continuing care, which feature multiple levels of living. However, continued industrywide diversification can be anticipated, with one of the current conundrums facing the field being the growth of “55+ communities.” It is far from clear whether these communities are competition or feeders to the other types of programs, and much of that depends on their location and what they offer. This question is currently being addressed by a workgroup of analysts who come together to cooperate in answering these types of questions. While the general consensus is that they are both competitors and feeders, more data are critical to determining the degree for purposes of quantifying the market environment. Overall the importance of sound, in-depth competitive analyses is playing an ever-growing role in all aspects of planning, developing and repositioning for all types of senior living. We invite you to discover our expertise in senior living market research, and how it can drive revenue for your community via actionable data. To get in touch about an assessment by Love & Company, simply click here or call 301-663-1239. Sign up for our E-Newsletter and get all of the latest updates! ©2019 Love & Company. All Rights Reserved. Q: How much would it normally cost to create a white paper and a video white paper for my community? A: Love & Company would normally charge $6,500 to $8,500 for a white paper and $11,500 to $15,500 for a video if the content is unique to your community. By sharing common content with other Love & Company clients (which are typically in different markets from each other), your community is able to purchase this valuable information at a fraction of the production costs. White papers are $2,983 and video white papers are $5,598. For even greater savings, check out our subscription packages! Q: Can the content be altered? A: We have taken into consideration the different variables that might impact your market and your market’s regulations. 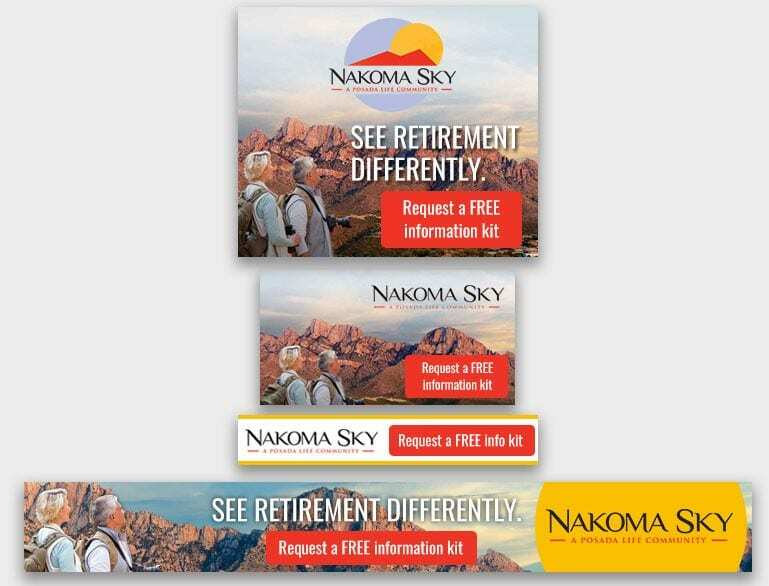 For example, we have produced most materials in multiple versions with minor variations to comfortably handle the differing opinions between “Life Plan Communities” and “continuing care retirement communities.” In general, we will not alter the content (particularly the video white papers) beyond what we have already created but feel free to ask. In fact, it is this uniform approach that allows us to bring such high value content to your community at such a low cost. Q: I have heard that Google does not like common content and will penalize my website's search engine optimization (SEO) for using content that another community is using. Is this true? A: Remember, the primary purpose of this content is to serve as an inducement that will stimulate new prospect leads, all while educating them about your community. These white papers and video white papers are NOT created as content for search engine spiders. As such, even though we brand the content in your community’s name, we will prepare it so that it can be hosted on your site without being penalized by Google. How we accomplish this is a bit technical but we’ll be happy to provide further details should you desire. Q: I've noticed that the white papers and video white papers often share common topics. Is this by design? A: While the white papers and videos can work independently from each other, they are very much designed to work together creating a comprehensive marketing and educational platform on specific subject matter. Q: If my organization has several communities, can I share this content across the organization? A: We will be happy to talk to you about multi-site licensing. Can I see the content before I elect to buy it? A: We are happy to show you a sample of both the white paper and the video white papers so that you can get a sense of the quality of content we provide. I'm interested in learning more about Love & Company's content. Who should I contact?